NHS vasectomy clinics are held at Ashfields Primary Care Centre on Tuesday mornings. The service is headed by Mr Simon Stubington, Consultant Urologist at Leighton Hospital. Two of our doctors, Dr Rosson and Dr Gowda, also provide this service. 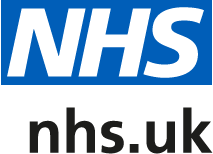 Clinic referrals are accepted from all practices within the South Cheshire CCG and Vale Royal CCG areas, therefore you must be registered with one of these surgeries prior to your GP’s referral. How can I arrange a referral? The consultation you have with your own doctor at your practice is the counselling process. Your doctor will discuss the vasectomy procedure and answer any questions you may have. If you are happy to continue with your request for a vasectomy, your referral will be made to Ashfields for the procedure..
During your consultation your doctor will provide you with written information. This booklet provides more detail about the procedure, including post-vasectomy care and how to provide a sample. If you do not receive any information from your doctor you can download a copy of the Vasectomy Patient Booklet. How do I arrange the appointment? Patients are responsible for arranging their own vasectomy appointment. Details of how to make the appointment are in the booklet. Please note: if you are employed in a heavily manual capacity (especially lifting) we recommend refraining from returning to work for the rest of the week. If you work in an office or have light duties you should be able to return to work the following day. Use alternative contraception until you receive a letter informing you that the procedure was successful.